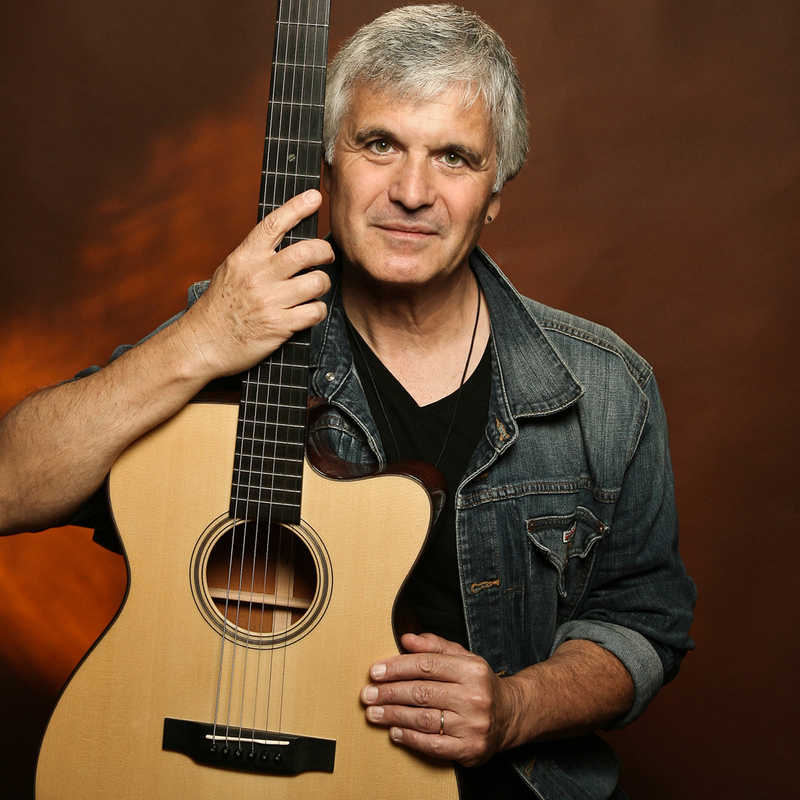 GRAMMY® winning guitarist Laurence Juber is a solo performer, recording artist, composer and arranger. His playing fuses folk, jazz, blues, pop and classical styles, creating a multi-faceted performance that belies the use of only one instrument. First internationally recognized as lead guitarist in Beatle Paul McCartney’s Wings, with whom he won a Grammy, Juber has since established himself as world-renowned guitar virtuoso and entertainer. He was recently named by Guitar Player magazine as one of the top 50 all-time acoustic guitarists. As a studio musician, he can be heard on recordings from artists as diverse as Dan Hicks & The Hot Licks, Seal and the French chanteuse Sylvie Vartin, plus he is featured on the soundtracks to hundreds of TV shows, such as Home Improvement and movies including the academy award-winning Dirty Dancing, Good Will Hunting and Pocahontas. Juber co-composed the soundtrack of the award-winning video game Diablo III and scored the perennial A Very Brady Xmas. His music is also featured in the NBC Dateline documentary Children Of The Harvest and the Ken Burns’ documentary The Tenth Inning. In theatre, he composed, with his wife Hope, It’s The Housewives! and A Very Brady Musical, as well the incidental music for Without Annette and repertoire for The Storybook Theater of Los Angeles. Juber is co-arranger for Part Of The Plan, a musical of Dan Fogelberg songs that debuted at Nashville’s TPAC in September 2017.